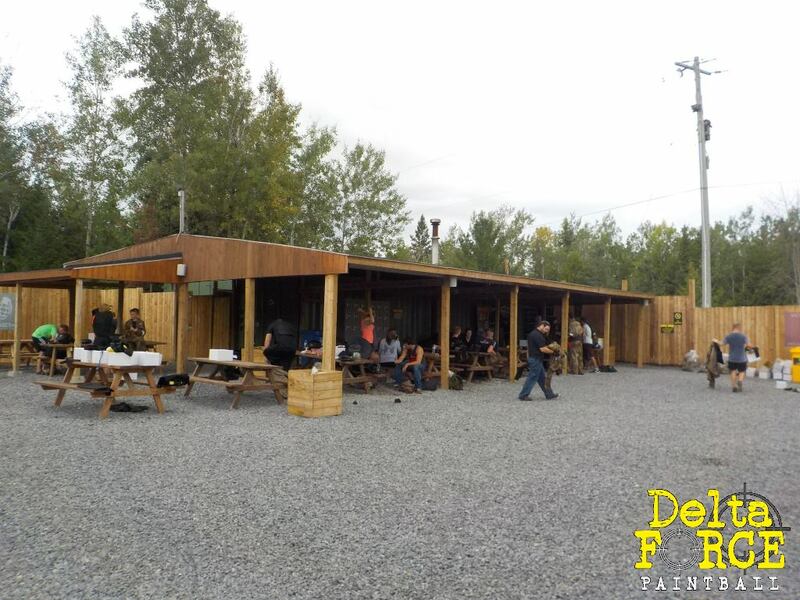 Our paintball Base Camp is the heart of each venue and where you and your teammates will change from an average joe to an actin hero. 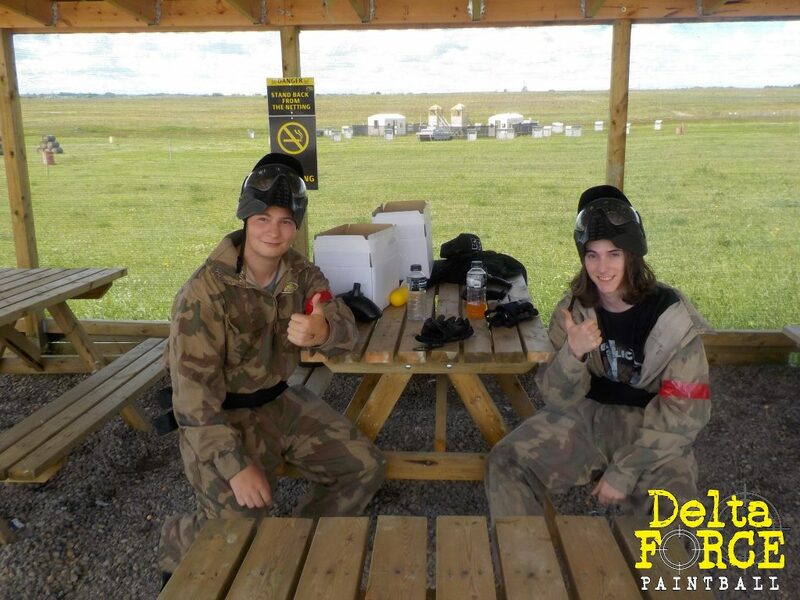 Decked out in our camouflage combat suits and full head helmets, the time has come to channel your inner sniper. In the Base Camp you can set up for the day and you can grab exclusive upgrades to make your day out extra special. 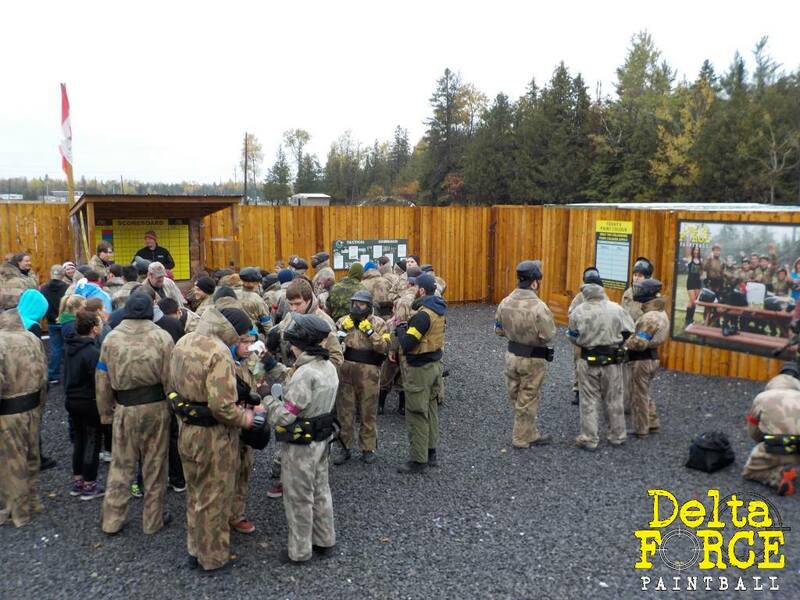 Onesies, upgrade guns – all are ideal for making that birthday celebration or team building event a day to remember! Get set for fun and adventure! 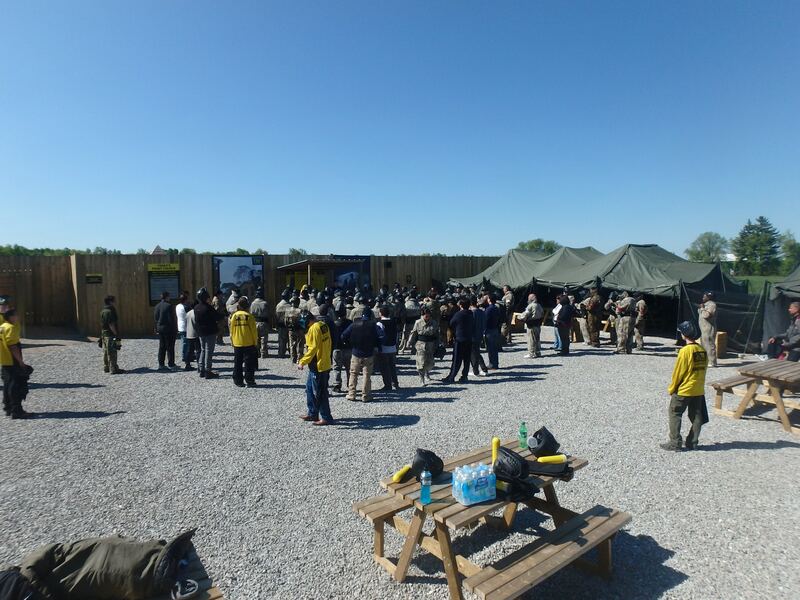 Our military-themed base camp is the safe zone for the duration of the day. 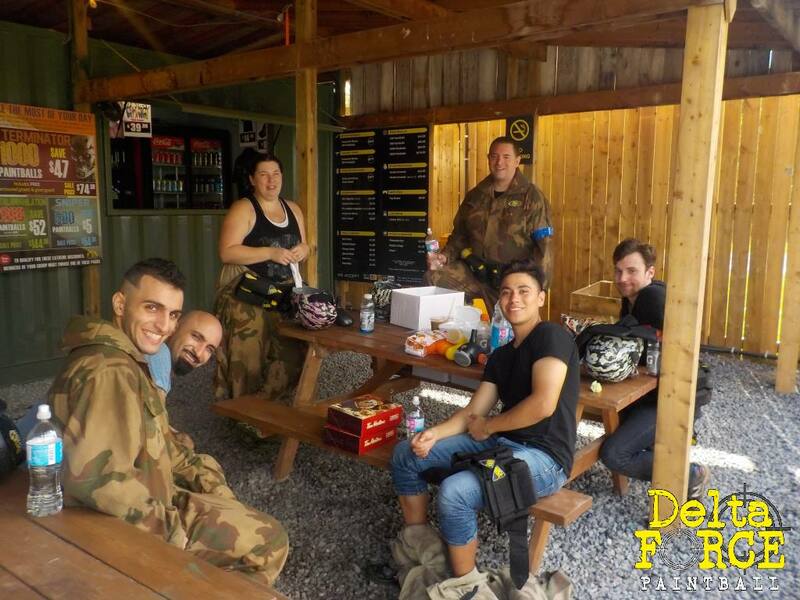 Here you can prepare for epic battles, prepare strategies and rest during each game. The camp is complete with music to get the excitement levels up to the max. 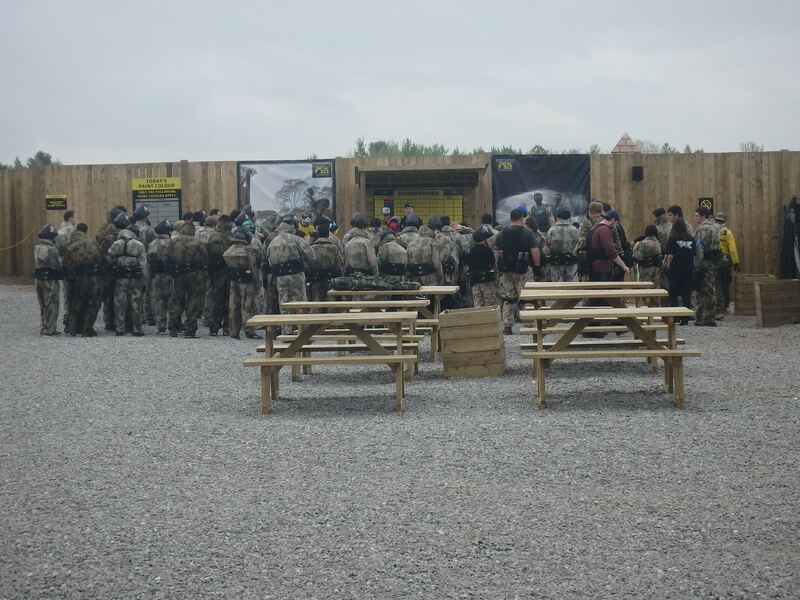 You can also purchase snacks, paintball supplies and addition items such as grenades and upgrade items. 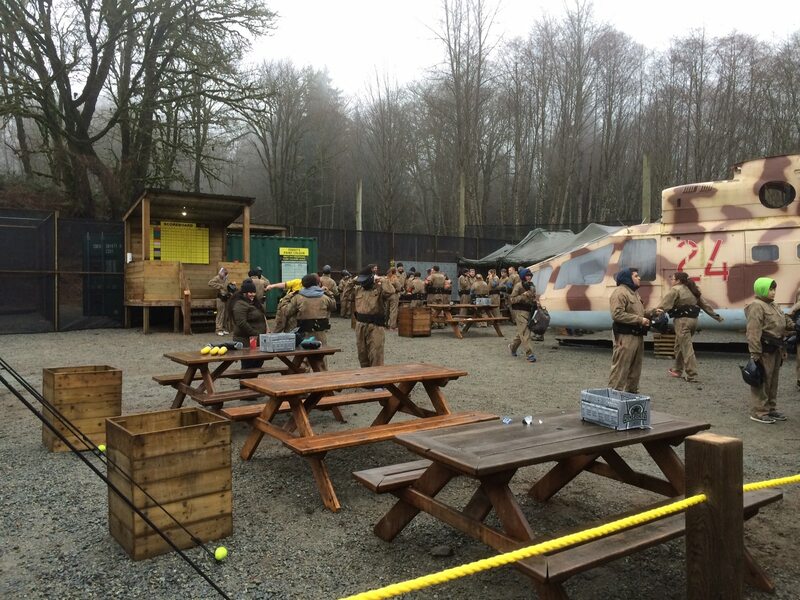 For those not participating, you can rest up, take photos and listen to epic battle stories when you friends return from their adventures on our themed paintball scenarios.